Ecuador’s economic costs are rising as a result of no EU trade agreement. [The recent] visit to the European Union by delegates of Ecuador's foreign trade commission once again went ahead in an ambiance ambivalence towards trade negotiations with the EU. 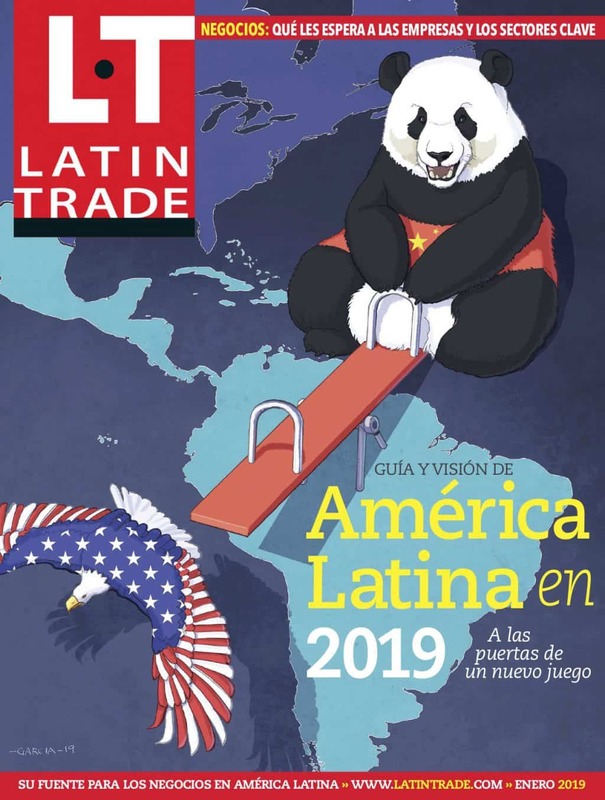 While Ecuador's Vice Minister for Foreign Trade Francisco Rivadeneira was in Brussels for a meeting with the EU's trade commissioner, back in Quito, Foreign Minister Ricardo Patiño said Ecuador has no intention of going ahead with a free trade agreement with the EU. "We're not going to sign a free trade agreement (FTA) with the European Union," Patiño said a few days before the meeting. "This is very clear." Last June, while Nathalie Cely, the coordinating minister for production, was in Brussels, Deputy Foreign Minister Kintto Lucas called the talks with the EU a sign of "European neo-colonialism." June's exploit was only the beginning for Lucas. Since inaugurating his Twitter account on August 10 as @compakintto, or "comrade Kintto", he has focused on tweeting about the inherent evil of free trade agreements. "European neocolonialism can express itself in many ways – one of them is the intervention in Libya, another is free trade agreements," he posted on September 6. Ecuador has complained before about NATO's intervention in Libya (EWR584) and plans to voice its concerns next week at the United Nations General Assembly. "Believing that the EU will sign a trade agreement for development and not a free trade agreement is like believing that Santa Claus exists and that he was born in Cotopaxi" in Ecuador, Lucas tweeted on the same day. The country is trying to negotiate a novel deal with the EU, which it calls an "accord for development" as it would include political as well as commercial co-operation – although this is a standard component for EU deals. Insiders say that during the September 9 meeting Rivadeneira was asked to introduce, among other conditions, a package on fair competition prepared by Senplades, the government planning office. This too is superfluous, as the EU has plenty of regulations regarding fair competition in its agreements. The meeting, like many before, revolved around the EU's quest for clarifications on the new type of agreement Ecuador is trying to negotiate – something that Lucas also complained about in his Twitter account. "The questions put forward by the European Union aim at getting Ecuador to define its strategy before entering a negotiation …" he posted. "The European Union's questionnaire seems an interrogation." It’s unlikely that EU negotiators in Brussels were unaware of such discontent. Despite the low presence of embassies of EU countries in Ecuador (there are only seven, and soon to be six with the Dutch departure, compared with nine in Bolivia, 12 in Colombia and 15 in Peru), foreign diplomats constantly report back information on the Ecuadorian government's ambiguity. It is thus not surprising that upon his return in Quito, Rivadeneira announced that the EU "doesn't have the sufficient clarity to be able to take an immediate decision, especially when it comes to the issues of public procurement and services." Rivadeneira added that proper negotiations could continue at the beginning of next year. But this did not seem logical to Lucas, who on September 12 posted: "After the interrogation, the EU will keep evaluating the country to see whether it manages to impose its neocolonial outlook with a free trade agreement." Ecuador remains a solitary player in the Andes, as some analysts have noted. Bolivia has broken off trade negotiations with the European Union, although it still relies heavily on financial cooperation coming from Europe, and is waiting to see what happens to Ecuador. In the mean time, both Colombia and Peru have signed trade agreements with the EU, leaving the EU with close to zero economic interest in securing an agreement with Ecuador. At this point, say insiders, the EU's only interest in negotiating with Ecuador is to create a common political front when it comes to the Andean region. Ecuador, however, has much more at stake, as the EU is its second-largest trade partner, after the United States. Analysts warn that Ecuador's ambivalent attitude continues to lose the country precious time, and the economic costs are rising. Bananas are particularly critical. Ecuador is the world's top banana exporter and the European Union is the largest banana market. When the EU signed FTAs with Central American nations and separate trade agreements with Colombia and Peru last year, it potentially opened the doors for new providers. As part of the FTAs, the EU promised a further lowering of tariffs on bananas from 114 euros ($158) to 75 euros ($104) per ton over a period of 10 years. This represents a great disadvantage for Ecuadorian bananas, which are already more expensive because of travel costs. Colombia and most Central American countries do not need to transport bananas through the Panama Canal. According to financial analysts, if Ecuador fails to negotiate lower tariffs for bananas, it would cause an annual loss of $90-95 million. In the long term the losses could become higher, as more exporters would turn to other countries for their lower tariffs. The government has on many occasions subsidized the sector in crises, a situation that has again emerged. The government promised to pay banana growers $2 per bunch in a bid to pull the industry out of a crisis caused by global oversupply and low international prices. The Ministry of Agriculture declared it would buy up to one million bunches per week with a total investment of $15 million. But the losses from the lack of an agreement with the EU would not be so easy to subsidize. This commentary originally appeared in <?xml:namespace prefix = st1 ns = "urn:schemas-microsoft-com:office:smarttags"/>Ecuador Weekly Report published by Analytica. Republished with permission.